At the beginning of August I set myself the challenge of using no heat of my hair for thirty days. I have to say, this was harder than I expected! I'm attempting to get my hair into the best condition possible to give it the best chance of growing out- I don't want to have to rely on my extensions so much. As much as I love them, clipping bits of hair onto my head every morning is a massive chore. Along with trying to cut out heat styling tools for the month, I've been regularly deep conditioning my hair and generally trying to look after it as much as possible. I think I did quite well with this challenge. Walking around with wet hair after a shower or bath is pretty horrible, and it meant planning ahead every time I needed to be somewhere. I'd say I dried my hair maybe three times in the month because I had to rush out of the house and didn't have time to wait for my hair to dry. I only used straighteners once, and that was just so I could measure my hair at the one month mark, it's grown half an inch which is apparently the standard rate that hair grows. 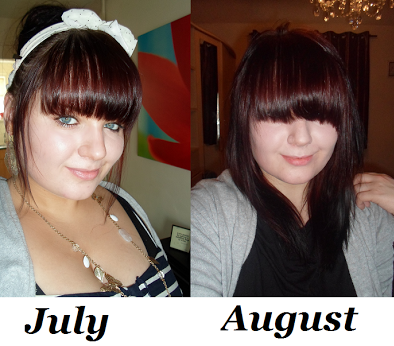 It's not worth updating with a picture yet as it's hardly noticeable, but you can see the growth by my fringe. As well as growing my hair I'm also growing out my full fringe, after just one month it's already over my eyes. This is usually the length I get really sick of it and cut it back in, but this time I'm determined to grow it. I haven't even been wearing it to the side, but completely clipping it back out of the way so there's no temptation to go running back to the scissors. After this month my hair does feel very healthy and in good condition, but the deep conditioning probably accounts for a lot of that. A few years ago I used to treat my hair terribly (for someone that already has straight hair I'd sit straightening it for twenty minutes every morning, try working that one out) and I'd also curl it for nights out, backcomb it and dry it with the hairdryer every single day. Yes, I was a serial hair washer on top of all of my other hair sins, it's a wonder it wasn't in even worse condition than it was. Because I only really use the hairdryer now with heat protectant, I doubt the heat I used on my hair was all that damaging anyway and so stopping using didn't have any hugely noticable results. Overall I'd say that although heat is definitely bad for your hair, in moderation it will most likely be fine as long as you use a heat protectant. Since doing this challenge I'm going to try and cut down on heat as much as possible, but I'm not going to change my whole routine just to avoid it or feel bad if I need to quickly get ready and dry my hair. Do you think that you could live without heat styling tools for a month? are you growing out your bangs? They're so cute and chic! I've been heat free for a few months now. Love your hair color! By the way, i'm following you now courtesy of the bloghop! Great blog! I hope you'll visit my blog and follow me too! I found your blog because you follow The curvy guru blog and I thought I would check out a few other Bloggers that follow her. She has great style and I really like yours as well. 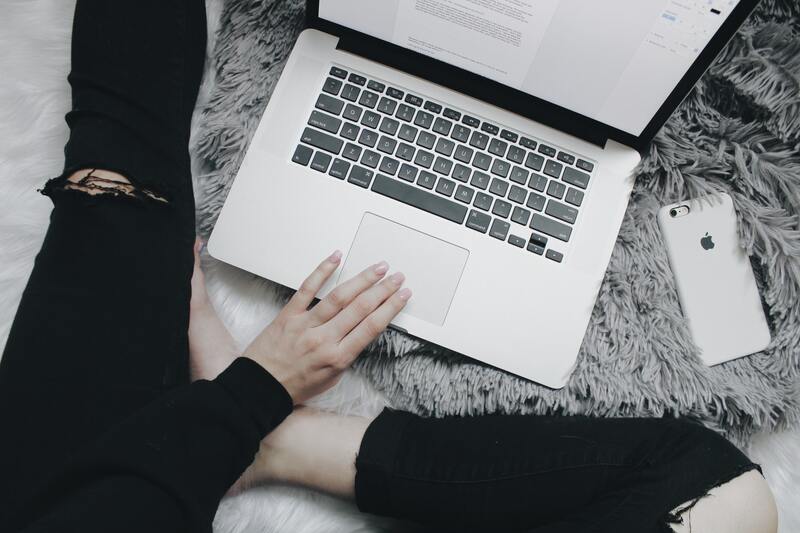 You have an awesome blog and this post is great! It would be cool if we could follow each other! I am lucky that it is dry enough where I live that hair dries pretty quickly. I would prefer not to use any heat but it has been years since I have cut my hair and I need to use the iron to smooth and curl the splitty ends.